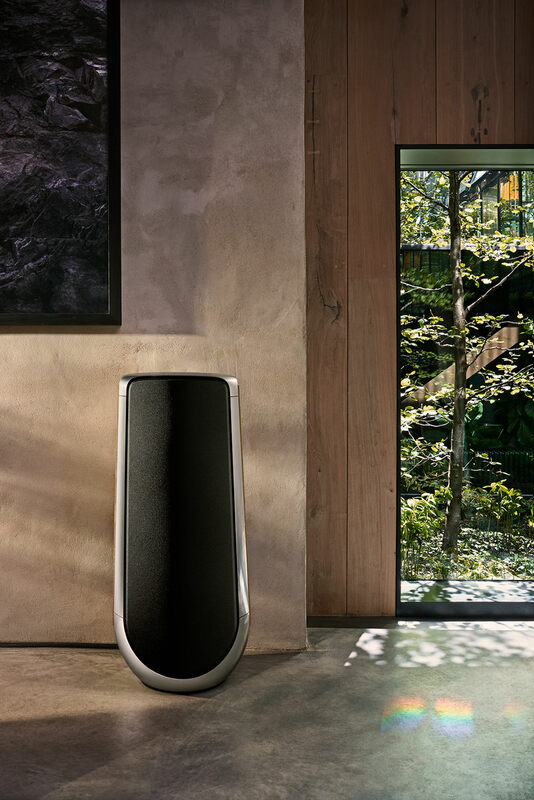 Bang & Olufsen BeoLab50 will seduce the most of you under all of its aspects, whether it is its perfect design, that adapts to all types of interiors and décor, or the way you use it. Indeed, this high-end active loudspeaker with a modest footprint delivers a pure and perfect sound in any type of room. 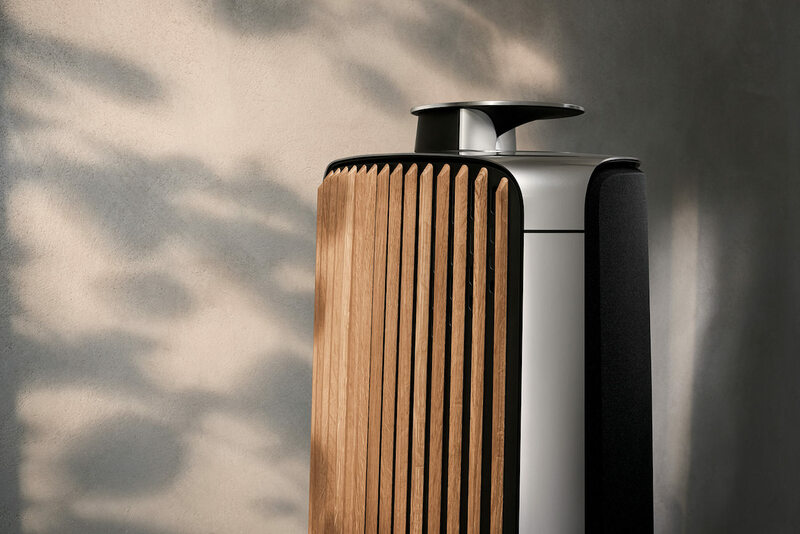 Slender and tall, Bang & Olufsen BeoLab50 will never obstruct your interior. Fiercely anchored in your living room, it will never take too much place. 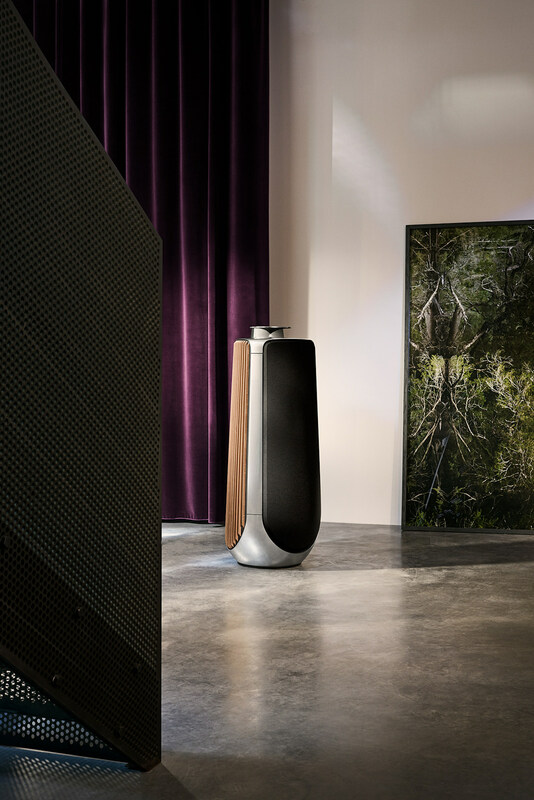 Then if you prefer an intimate lounge experience, unparalleled sound for your cinema parties or even parties like a nightclub in your house, this elegant speaker made with aluminium and oak lamellae will be your perfect partner. 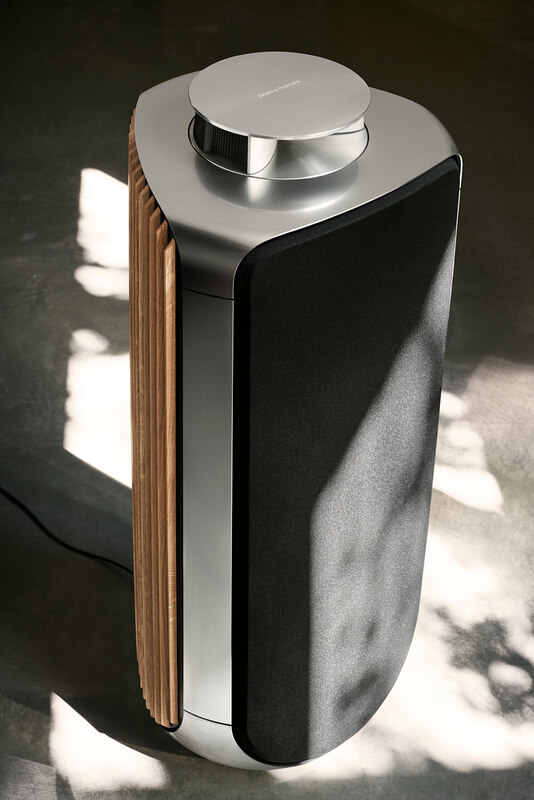 As visionary as its appearance, Bang & Olufsen BeoLab50 uses last sound technologies already discovered by the House, the very one who innovates for nine decades now. And there again, the speaker shows no defects. 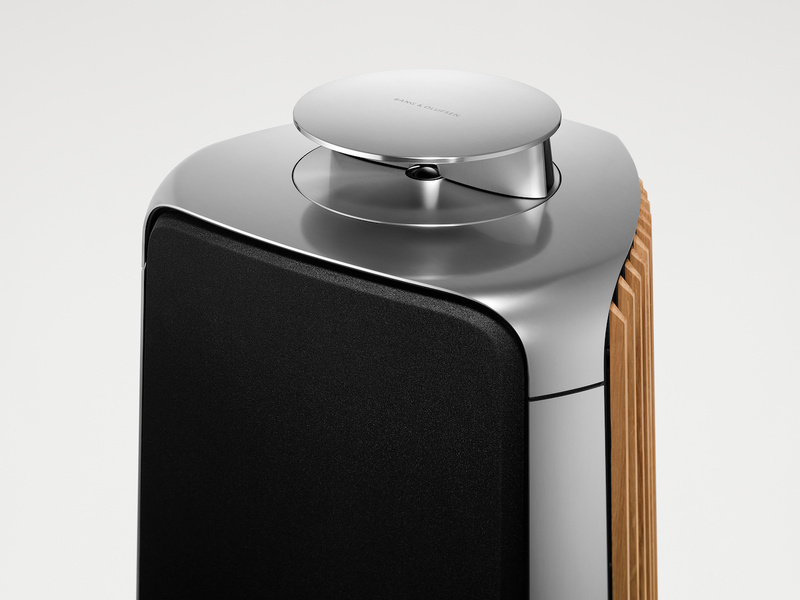 Then you’ll find some of the brand lasts products best components in the new Bang & Olufsen BeoLab50 that all represent the highest technologies to date. 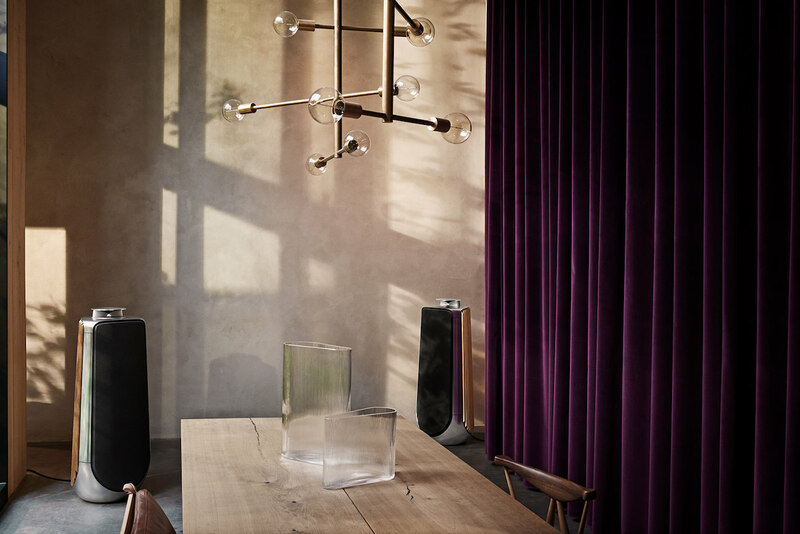 Indeed, Bang & Olufsen BeoLab50 is equipped with adjustable acoustic Lens that allows the sound to be altered depending on the spectators position in the room. As an example if you are comfortably settled in your sofa to watch a movie the sound will contract and go toward your listening spot. But if you are many to assist the same show or party, the sound will disperse into the room with an amazing clarity. These different functions will be accessible as soon as the speaker is turned on. And all of that is made possible thanks to a connected microphone that measures the acoustic behaviour of the room and reflects the sound depending on your walls and furniture. Finally, you can use the mobile app Bang & Olufsen to wirelessly control the speaker alike all the brand’s objects that are settled in your home from your smartphone whatever the brand. 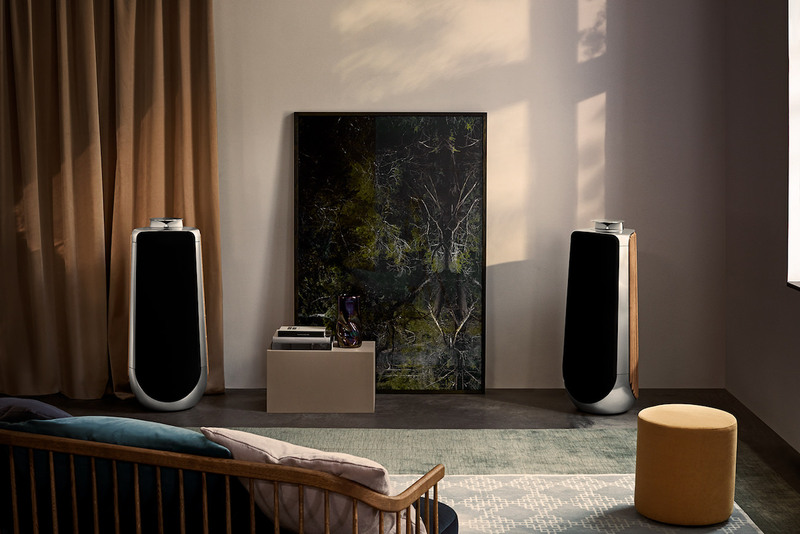 You can so settle the degree and direction of the sound and access your favourite applications like Deezer and TuneIn to fully appreciate your Bang & Olufsen BeoLab50. Thanks to the multiroom function, all your Bang & Olufsen devices will be controlled by the same design and simple app! In short, you will have no reason to resist it! 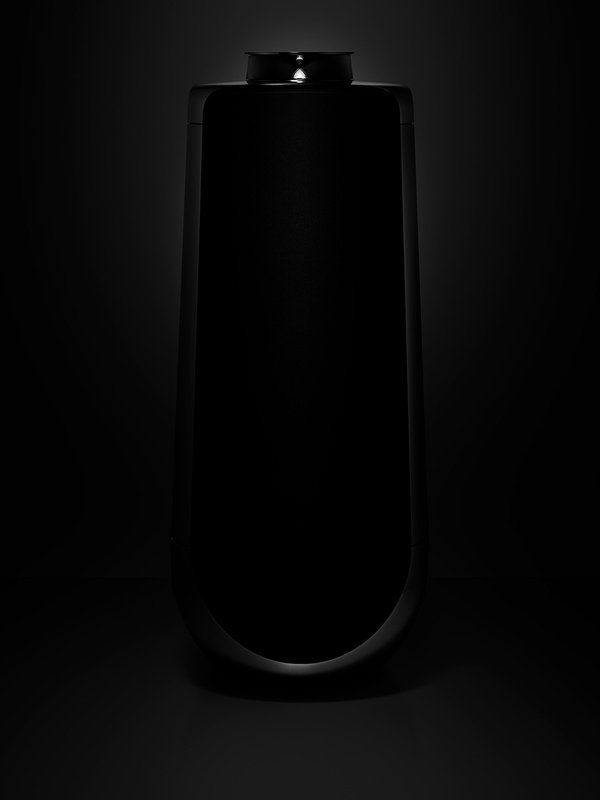 Share the post "BeoLab50: the ultimate sound experience whatever the way you love music"